DEAR JERRY: While flipping through some of my thrift store acquisitions, I ran into a record by Eddie Dee and the Moonlighters titled "Let's Go Steady." Seeing it was written by Neil Sedaka and Howard Greenfield, I thought it would be the "Let's Go Steady Again" that was a 1960s hit for Sedaka. Well, it is the same song as "Let's Go Steady Again," but NOT the one by Sedaka. It's the one recorded by Sam Cooke in the 1950s, and written by J.W. Alexander. Then who really wrote it? Alexander or Sedaka-Greenfield? DEAR DENNY: James W. Alexander, Cooke's friend and eventual business partner, wrote "Let's Go Steady Again." When coupled with the Cooke classic, "Only Sixteen" (Keen 3-2022), the record reached the Top 30 in the summer of '59. In 1963, a completely different "Let's Go Steady Again," one written by Sedaka and Greenfield, became a hit for Neil. Four years later, Arthur Conley revived the Sam Cooke tune, but with the truncated title, "Let's Go Steady." Whether or not Conley's label (Atlantic-Atco) dropped the "Again" to avoid confusion with the Sedaka-Greenfield tune is not yet known. Regardless, when "Let's Go Steady" was chosen for the B-side of "Sweet Soul Music" (Atco 6463), an eventual million seller, it meant a pretty payday for Mr. Alexander. Fortunately, he is properly credited on this single. Also unclear is why Eddie Dee's 1967 release, on his own label (Dee 1002), does not credit Alexander. It is possible that someone involved with Dee Records thought Eddie's song was the one by Sedaka and Greenfield. DEAR JERRY: Even though I lived through it first hand, I was amazed by your recent column that examined the number of foreign hits a week before and then a year after "I Want to Hold Your Hand." Before the Beatles arrived in America, only five percent of the Top 100 were by overseas artists. A year later, that percentage leaped to 27. But please don't stop there. I would like to see the same comparison, but for album sales. I'm guessing the change is not nearly so dramatic, what with teens primarily buying singles and not LPs. —Perry Fitch, Manassas Park, Va.
DEAR PERRY: You would think. The British Invasion is both blamed and credited for varied effects on the American music scene, but one highly profitable change for the industry was the enormous surge in album sales to teenagers. 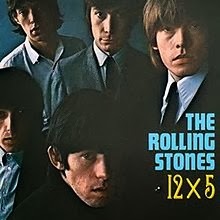 Understandably, crazed fans of the Beatles, Rolling Stones, etc., were not content having two songs on a 45 when an LP with a dozen tracks could be had. As we did for the singles comparison, we'll use the charts for the first week of January 1964 (pre-Invasion) and 12 months later. Unlike the singles chart, with 100 slots, Billboard's LP chart in the mid-'60s listed 150 titles. To recap, for songs on 45s, overseas artists — three solo acts and two duos — accounted for five percent of the Top 100 in Jan. 1964, and 27 percent a year later. Here we have two females and two instrumentalists, but not one vocal group in the pack, and no one from the UK. Only two are in the Top 100. Together they account for only three and one-third percent of the Top 150. My how things have changed. Now we have 18 acts on the chart (16 groups and two duos), all males, all vocalists, and all from the UK. They have 11 entries in the Top 150 and make up 12 percent of the total chart. I think you'll find the difference is more dramatic than you expected. IZ ZAT SO? There are a couple of albums on the January 1965 chart that are unquestionably inspired by the invaders from Liverpool, yet by U.S. performers. At No. 74 is the Supremes with "A Bit of Liverpool," and No. 79 is "The Chipmunks Sing the Beatles Hits."